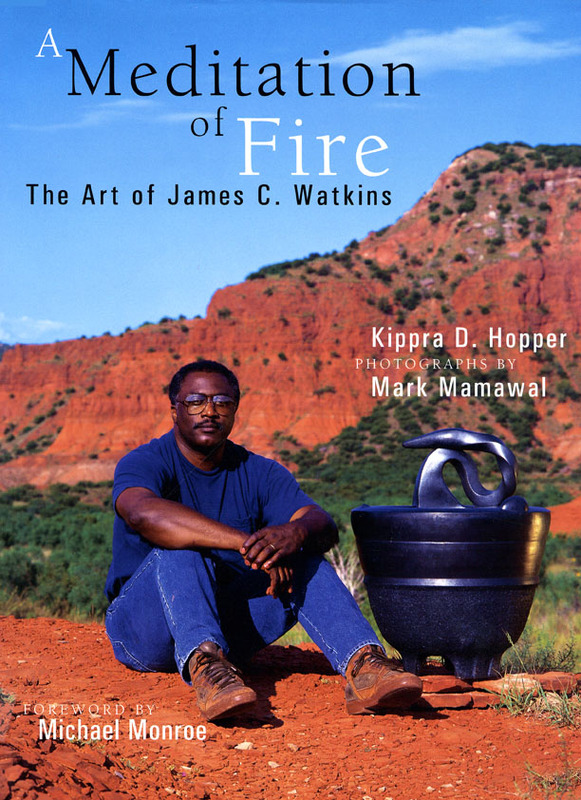 James Watkins is an accomplished ceramic artist working in Texas. I attended one of his three day workshops several years ago. I LOVED his art work. His pots typically involve imagery from Texas and forms that we recognize. Cauldrons, platters, snakes, and more. He is known for his double walled vessels. 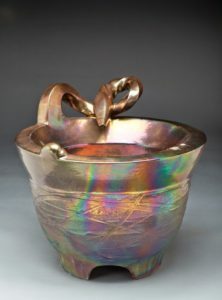 The cauldron shown above is a double walled raku fired piece with a hollow snake. I love his black forms also. James has written several books and articles. His work is featured in a book titled “A meditation of fire”. 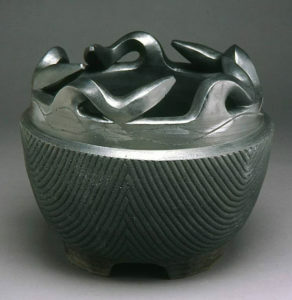 This artist’s work can be found White House Collection of American Crafts, and the Shigaraki Institute of Ceramic Studies in Shigaraki, Japan. Listen to James talk about his process.